Here are the three most common lieswomen hear in Hollywood: "You're the most beautiful woman I've ever seen." "I'd like to put you in my next movie." "I think I'm falling in love with you." If anyone has heard it all, it's Hannah. 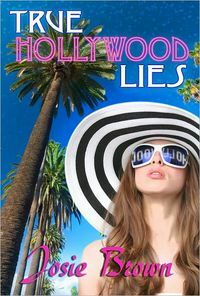 As the daughter of celebrated actor Leo Fairchild, she can easily recite the bald-faced lies you'll hear out of the mouth of almost any A-list leading man. Faced with a credit card bill that rivals the national debt, Hannah is forced to put her one passion -- astronomy -- on hold while she takes the job of personal assistant to international hottie Louis Trollope. Louis is just as egotistical -- and yes, irresistible -- as her father had been. Which is why she's determined to keep him -- and his super-model girlfriend, bad boy entourage, and over-sexed agent -- at arm's length. Besides, she's falling in love with his best friend, screenwriter Mick Bradshaw. But Louis loves a challenge. And he's decided that convincing Hannah that he loves her is the role of a lifetime.